1.- Download "SDCafiine 1.4", copy the wiiu folder to the root of your sdcard. 3.- Copy your specified region titleID number and name the folder inside sdcafiine it. Open it and create a folder named content (should be sdcafiine/gameIDnumber/content), and install mods from here by placing them in the spot they should be according to said README of the mod (for example, skins for Captain Toad should go in content > ObjectData >). 4.- Now put your SDCard in your Wii U, turn on the console and run Homebrew Launcher and run SDCafiine 1.4. 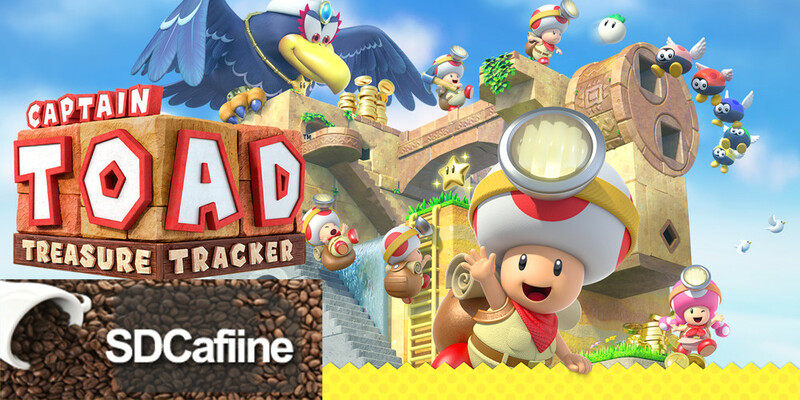 5.- Boot up Captain Toad: Treasure Treacker after loading SDCaffiine. Your mods should load.